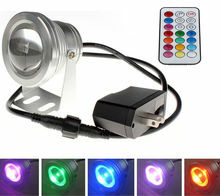 144 F5 round Leds , more bright. 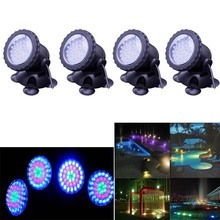 Make of ABS, strength waterproof material. 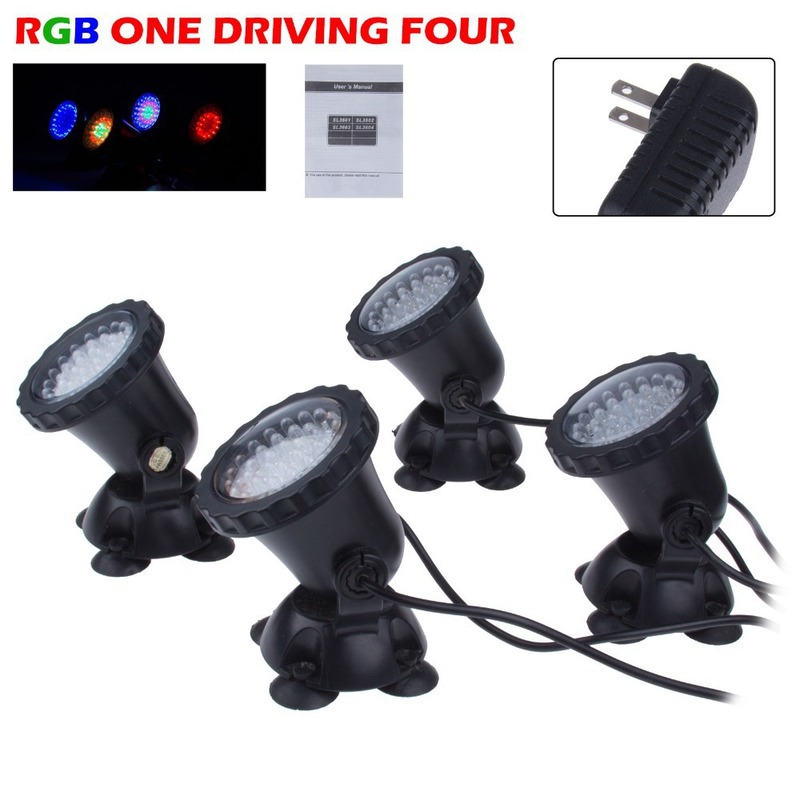 Power Consumption around 12W, energy-saving. Can adjust any angle you like. 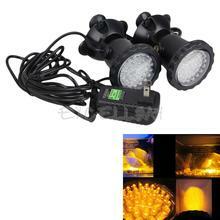 Submersible Light Kit for Ponds,Water Gardens, Rockery,etc. 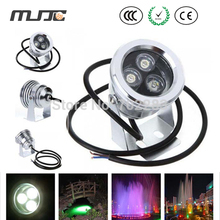 Underwater Aquarium Diving Pond Pool Fountain LED Light is in a new condition. 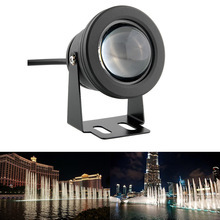 The submersible spot Light is built in 144 LEDs , every light have 36leds,adds a dazzle of color to your pond or fountain.The body is filled into high strength waterproof material completely,can be used widely, such as aquarium, gardens and fountains,Has a long lifespan. With very low heat generating, besides saving light power. The lifespan is often very long and they are easy to install.